Density: a fundamental physical property! Which picture best shows something about the "density" of a substance? When you have completed the activities in this unit, you will have the answer to this question. Work through the lessons in the order they are given. Lesson 1: What Happens If? Listen to the reading of "If You Give a Mouse a Cookie." In Part I of this handout and write down examples of the cause effect relationships you observed occurring in the book. Work with your Think-Pairs-Share partner to discuss your answers. Use the laboratory materials given to you by your teacher and record your findings in Part II of the worksheet you received. You will complete several experiments and then must identify the cause and the effect. Write on a t-shirt (given to you - not your own) with permanent marker. Handle and move an egg. You will watch a demonstration by your teacher and again be asked about the cause and effect. Homework: Find three examples of cause and effect in nature. Be prepared to present your findings. Observe the items on the table in front of the room. No touching, please. Use your white boards to make notes and observations. 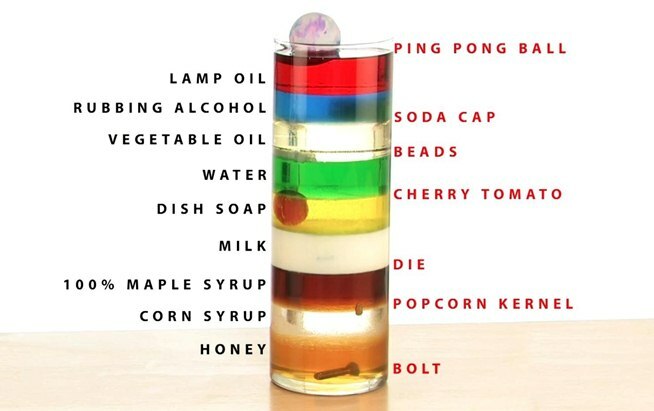 Take notes from your teacher's presentation on the topic of density. Assemble in teacher assigned groups (4). Organize the cubes you are given in order from greatest to lowest density. Be able and prepared to explain. Use the beakers, water and rock samples distributed. Determine the density of each sample and then arrange samples in order by density. Homework: Find two objects that differ in density. Bring in the objects; be prepared to present your findings. Write your answer this question: What happens when gases and liquids are heated? Participate in the discussion and share your answer. Carefully cut out your paper snake. Attach the piece of string you received. Follow your teacher's directions; observe the results of your experiment. Answer the questions posed by your teacher. Write your responses to this: Tell what you know about ice. Explain how and where it forms and the conditions needed for this to happen. Write your name on the styrofoam cup your receive. Fill your cup two thirds full of ice water. View the demonstration given by your teacher. Write your explanations for the result. Duplicate your teacher's demonstration with your cup. Were the results the same? Tell how density related to the results. Homework: Write one paragraph relating the experimental findings to the way the Earth's salt and fresh water respond to freezing temperatures. View the power point presentation covering the Earth's continents and their changes in position. Use the map provided by your teacher as a reference. Be observant. Explain how a conveyor belt works. (Think of a grocery store or the luggage distribution system in an airport). Create a flipbook to show the way materials move along a conveyor belt. Standards, materials, references, background information, and credits are available.